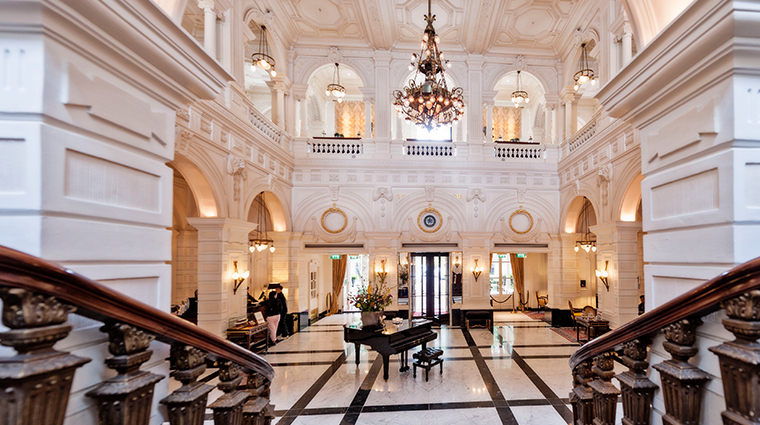 InterContinental Amstel Amsterdam has an air about it, which comes from 150 years of welcoming guests through its grand doors. 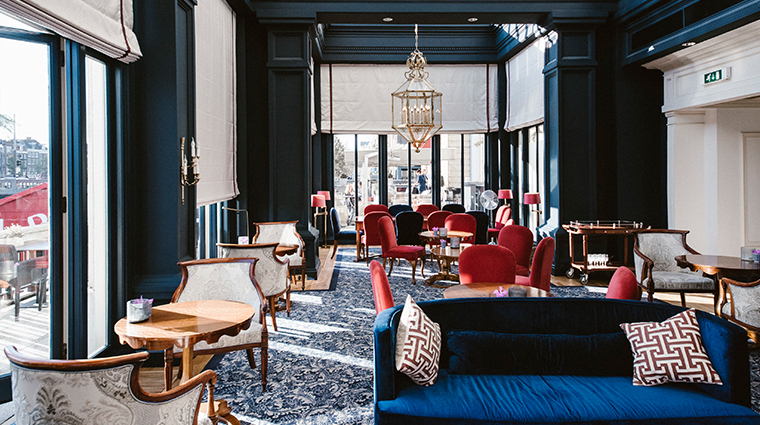 The hotel’s iconic façade looks out onto its namesake Amstel River, but this Dutch landmark’s interior may be even more stunning. 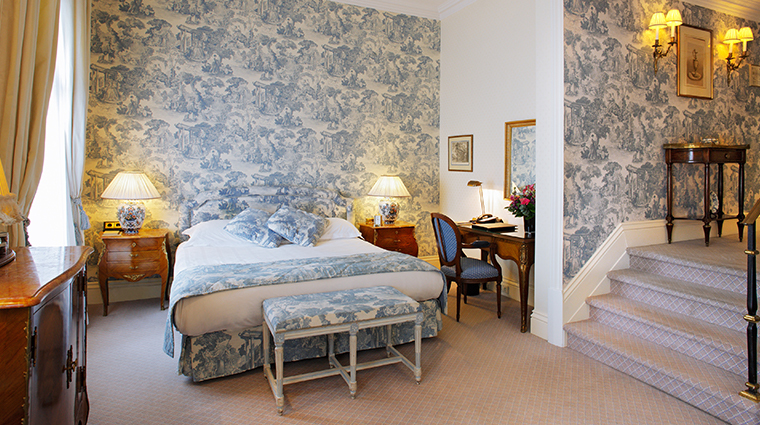 Home to a renowned restaurant, La Rive, and an abundance of Old World charm, this historic property transports you back in time to the city’s lavish Golden Age. 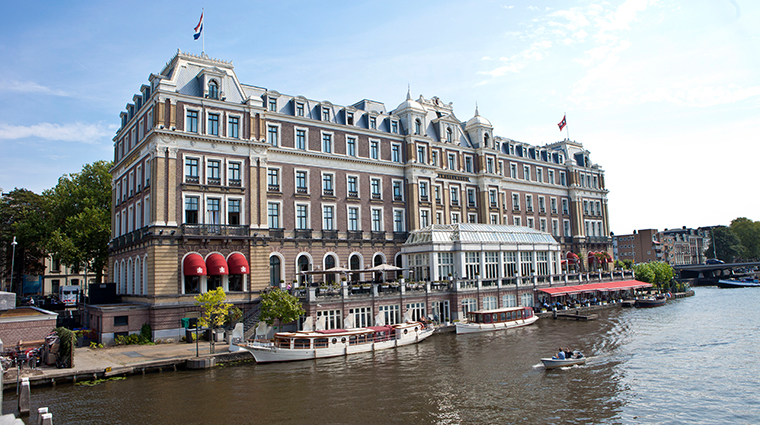 With a prime spot on the banks of the Amstel, the hotel is a hub for Amsterdam’s efficient waterway system. Water taxis can take you to the bustling Saturday morning Noordermarkt market,the Anne Frank house or the charming De 9 Straatjes (nine streets) neighborhood. However, many other highlights are within strolling distance, including the Rijksmuseum, the Van Gogh Museum and the Royal CarréTheater. 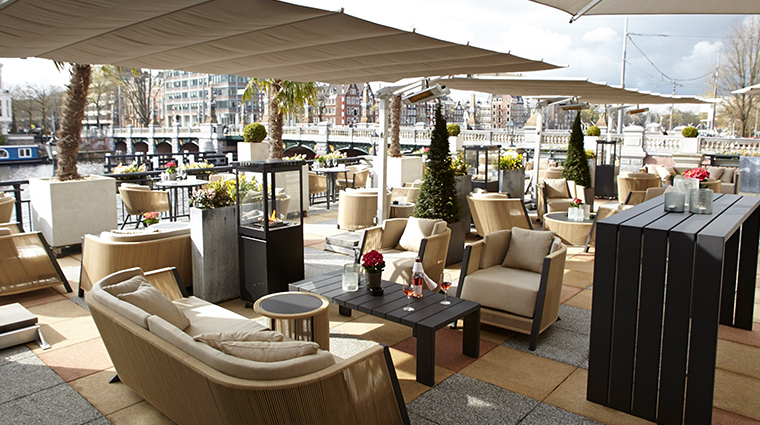 The hotel’s terraces provide front-row seats to Amsterdam’s parade of boats, from classic sailboats to Dutch sloepjes. Whether you enjoy an alfresco lunch at Amstel Brasserie, or unwind with a evening cocktail on the terrace of the A Bar, few locations in city will give you a better open-air view. The Amstel’s impressive Health & Fitness Club features a giant heated pool, fully equipped gym and juice bar, all surrounded by river-facing windows. 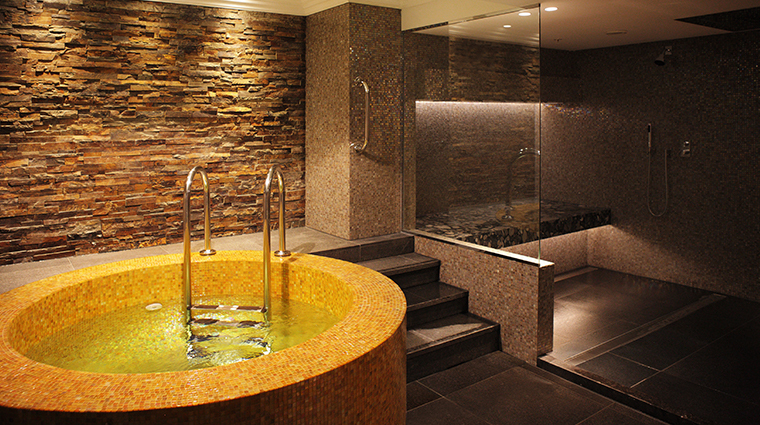 The sleek sauna, steam room and hot tub let yourelax after a day of sightseeing. The reputable concierge team, led by Aad van den Berg, is always available to give insider tips and impressive local knowledge. The concierges will help you to have a more authentic experience, and they might just surprise you with several hidden gems. Take advantage of the hotel’s private canal tours in one of its classic saloon boats. Each vintage electric skiff has been carefully restored to its former 1920s glory, and the skipper will point out remarkable sites and photo opportunities along the way while you sip champagne or dine on breakfast. Just as famous as the hotel itself, La Rive is the property's acclaimed riverfront restaurant frequented by locals and visitors alike.Executive chef Rogér Rassin makes haute cuisine approachable without sacrificing the sophisticated décor and impeccable service. 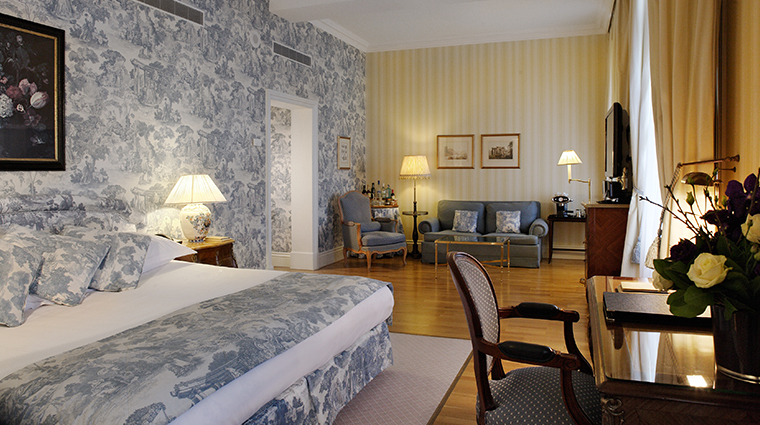 The 79 elegant rooms and suites face either the square or the Amstel River. Request a river view if you want to throw open the double windows and breathe in the buzz of the city each morning as you enjoy your in-room Illy coffee. Don't bother renting a car. The efficient tram system can whisk you around in less time, and there’s a convenient stop right next to the Amsterdam hotel. In the warmer months, take advantage of the hotel’s outdoor spaces, including a private sunbathing terrace off the Health & Fitness Club. Visiting during the festive season will provide a magical experience, complete with an adorned Christmas tree and stunning exteriors with sparkling lights. 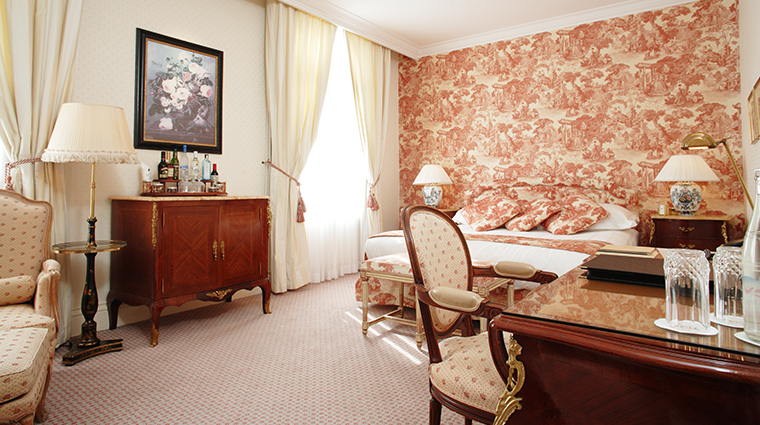 The French-style rooms harken back to an era of grandeur in keeping with the grande damepersonality of this luxury hotel. 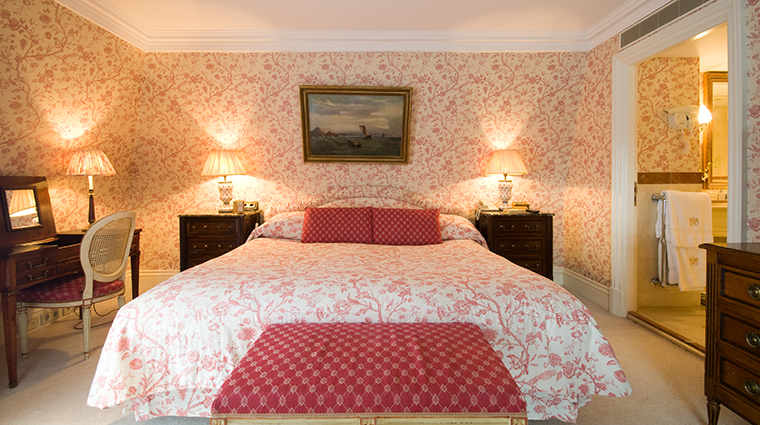 The rooms and suites also happen to be among the largest in the city. 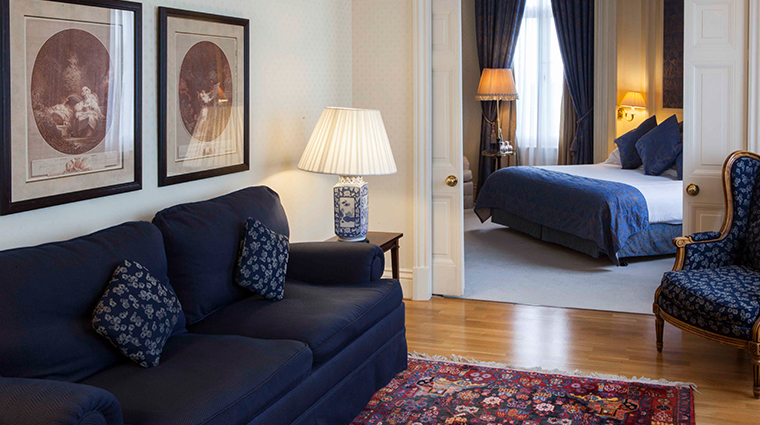 A variety of individualized suites takes your stay up a notch, in both size and curated décor. Favorites include the Rembrandt Suite, which looks out on the painter’s favoritecity vistas, and the black and gold Champagne Suite, designed in stylish collaboration with Dom Pérignon. Be sure to indulge in the variety of handcrafted chocolates and sweets left in your room each evening. If you need something more, the well-stocked mini-bar or 24-hour room service is at your fingertips. Every morning, prepare to be spoiled by a bountiful breakfast buffet, which includes a pancake and waffle trolley as well as eggs, freshly laid at sunrise. Don’t skip the freshly baked apple pie, hand-mixed muesli or the champagne for an extra indulgence. For a more casual dining experience, La Rive’ssister restaurant, Amstel Brasserie, serves a bistro lunch and dinner in an intimate setting. 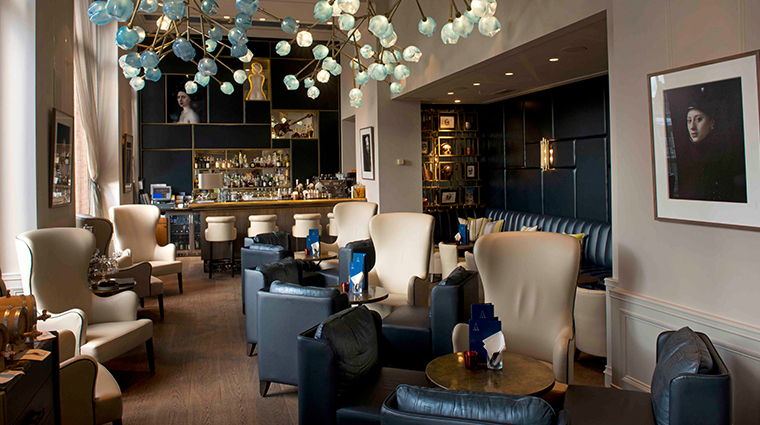 James Bond would feel right at home among the leather high-backed chairs and wood-paneled walls found here. 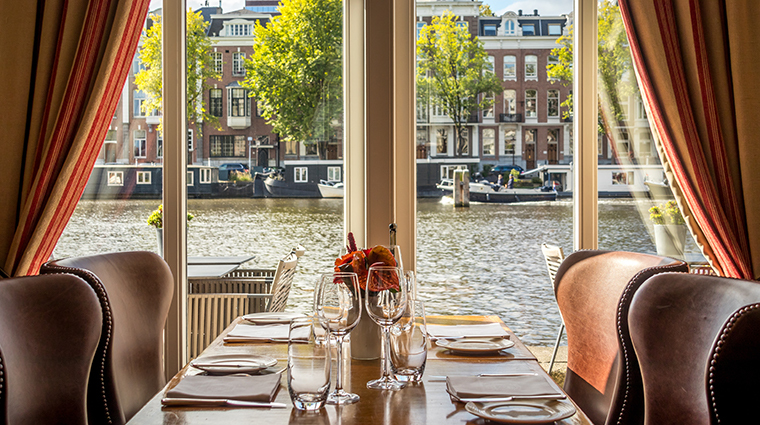 A famous tradition in Amsterdam is Royal Afternoon Tea in the Amstel Lounge. Rich blue walls, crystal chandeliers and river views are the backdrop for this sophisticated tea service, which features four courses of savories and sweets made by the in-house patissier. Despite the many accolades andhard-to-get reservations, La Rive’s fine dining is approachable for all guests. Maître Ronald Opten will bend over backwards to ensure that you enjoy the highest level of service, making any dinner here a special occasion. Offering more than a thousand bottles with impressive labels from all over the world, La Rive's wine room will wow any oenophile. Sommelier Ted Bunnik can lead you on an expert tasting at the central oak table or opt to savor an intimate meal in this private room.